An argumentative essay is a particular type of academic writing. It requires students to develop and articulate a clear position on their respective research topic. This argumentative position is advanced and supported through the engaged use of research to support the writer's perspective in the attempt to convince his or her audience to share the author's view. 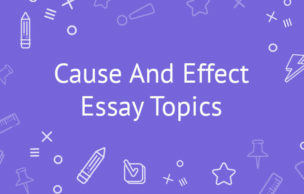 To write a strong argumentative essay, students should begin by familiarizing themselves with some of the common, and often conflicting, positions on the research topic so that they can write an informed paper. Students then need to begin compiling relevant evidence, including statistics, expert opinions, and verifiable facts to support their position. Generally speaking, the primary purpose of an argumentative essay is to persuade an audience to see things from another perspective, particularly one that may go against their entrenched presuppositions. In choosing your topic, it is often a good idea to begin with a subject that you already have some familiarity with. Even if you chose to hire professional help for the paper, writing on a topic you have knowledge of and interest in will make a much better platform for your ideas, and you will have a better command of the relevant issues pertaining to your topic. It is often a good idea to choose a topic that tends to elicit an emotional response. Getting your audience invested emotionally can go a long way in persuading them to see your perspective, and getting engaged with your paper. We provide an excellent list of topics to get you started writing your own argumentative essay. However, we also offer services to have your essay written for you for a small fee. Our company currently has hundreds of professional writers with extensive backgrounds in academic contexts, including research, essay and dissertation writing. Our employees have written hundreds of essays for students across the world. Our company has the knowledge and experience required to customize essays to suit any academic context or subject, and to ensure you receive the grade you want. Contact us now to see how we can provide you with these services! Should obtaining contraceptives require teenagers to have parental approval? Should restrictions be imposed on the number of passengers a minor is allowed to transport in his or her vehicle? Should it be mandatory to obtain a high school education? When is it justifiable to employ military force? If a minor commits a crime, should the parents be held accountable? Is our current governmental process just? Are athletes unfairly compensated for their skills? Should it be permissible to post videos of funny cats on social media sites? What song is the absolute worst one ever written? Sexual education is the best way to prevent teenage pregnancy and a variety of other issues. Is it legal to terminate a pregnancy? Is it moral or justifiable to employ animals in research? Cloning should be a forbidden practice. Some internet browsers and search engines can prompt privacy and security concerns among users. Should there be regulations imposed on YouTube commenters? Do you agree or disagree that the Internet has become too commercialized? Do gun control regulations help to reduce crime? Is capital punishment a justifiable action? Is the practice of euthanasia a defensible one? The book "Twelve Angry Men" is a literary representation of democracy, including its potential flaws. It is never justifiable to submit someone to torture. Smoking in commonly held places should not be permitted. It is wrong to make the use of marijuana legal in some states. It should be illegal to produce and sell cigarettes. Racial tolerance is enhanced by cross-cultural marriages. The behavior of children from one-parent homes is different from those who come from a two-parent household. Criminal activity is more frequently engaged in by men rather than women. Youthfulness makes people more rebellious by nature, and consequently, young adults are more receptive to negative influence. Sexual content on TV influences teenagers in a negative way. The best way to improve education is to homeschool children. Because trees recycle air, the destruction of rainforests should be prohibited. To reduce gas prices, should countries drill for oil in environmentally protected places? Global warming does not actually exist. Do electric cars potentially offer a remedy to worldwide pollution? Is it true or false that women' body images are influenced by the media? Do cities have an obligation to preserve old or historic buildings? Losing weight can not be achieved by dieting. Acquiring the loyalty of employees can only be done through monetary rewards. Career success is no longer dependent on life-long learning skills. The veracity of Correspondence Theory of Truth is a legitimate position to hold. Japan should not be allowed to claim the Dokdo islands as they are the property of Korea. Ghost hunting involves the deception of people. Once you have selected your topic, try to commit some thoughts to your computer. Here is some guidance on how you might proceed. Utilizing the above structure for an argumentative essay will help keep you focused, and ensure that your audience can follow your argument. The opening paragraph states the paper's thesis topic clearly and concisely and elaborates very briefly on the background as well as the importance of the subject. The body paragraphs come after the introduction paragraph. This is where the writer advances his or her arguments and provides accurate and trustworthy evidence to support them. The type of supporting evidence should be based on the topic of the essay: factual, anecdotal, logical or statistical. After conveying his or her own position, the author addresses alternative perspectives. The essay is finished with a concluding paragraph. This is a highly important component of the essay, as this makes a final impression on the reader. 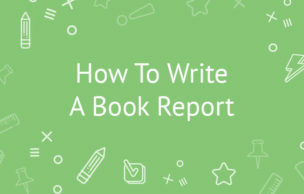 Here the author should briefly summarize the key points he or she has made in the body paragraphs, as well as state why his or her perspective is to be preferred. A few comments on the significance of the topic for a contemporary audience should also be included here. The conclusion should not include any new information that was not previously addressed in the paper. Another helpful resource to make your writing seem more polished is to employ connection words. How are Connection Words Supposed to be Used in Writing an Argumentative Essay? Conclusion: all things considered, as shown above, in conclusion, for the most part, to summarize. How Will this Knowledge Help Me in the Future? Knowing how to write a strong argumentative paper helps you advance your own argumentative thinking. Thinking critically and being able to persuasively advocate your own position are fundamentally important skills to have in contemporary society. In many professional contexts, respectful argumentation is what leads to the development of new ideas and perspectives. Being able to compose a strong argument will help you succeed in society. Part of what constitutes success is the ability to maintain focus, and in particular to direct your focus to what you really think and how you want to devote your future time, life, and resources. The more time you can invest in this, the further ahead you will be in pursuing your career goals. We have been writing academic papers for students since 2015. We encourage you to employ our services as one of the components of your career success trajectory. Many brilliant people who achieved success in life were actually academic drop-outs. Because they were so preoccupied with what was important to them, they often couldn't complete their homework on time. Regardless if you are a successful business entrepreneur, have a hectic job in a fast-paced corporation, or have a personal emergency or unforeseen circumstance, failing a class or module is a possibility if you do not have your academic work submitted in time. That's why our essay writers are here to provide assistance 24 hours a day, 7 days a week. If Bill Gates or Mark Zuckerberg had been aware of our services, they likely would have gotten their degrees on time!